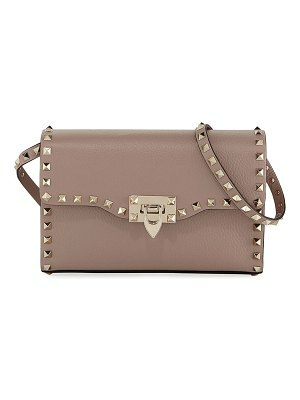 Polished pyramid studs with a prismatic sheen spike the meticulous matelasse quilting of a supple lambskin leather shoulder tote that balances vintage elegance with rocker edge. 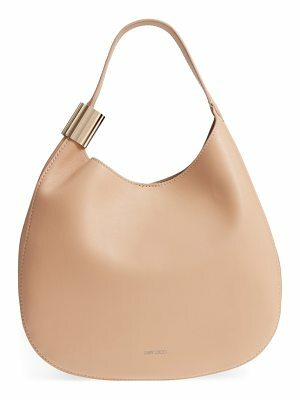 The ring-secured top handle can be removed, and the pull-through chain strap can be worn doubled or fully extended as you prefer. 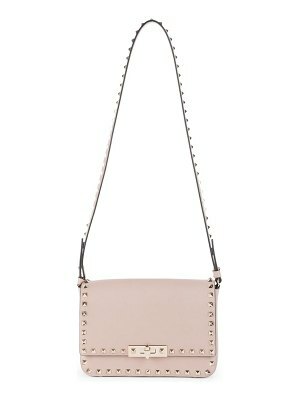 Style Name: Valentino Garavani Rockstud Lambskin Leather Shoulder Bag. 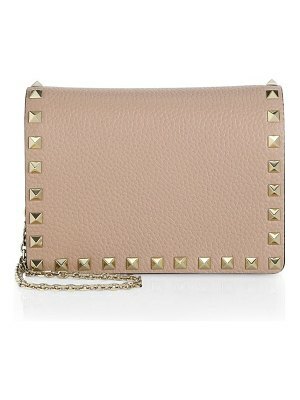 Style Number: 5511865. Available in stores.